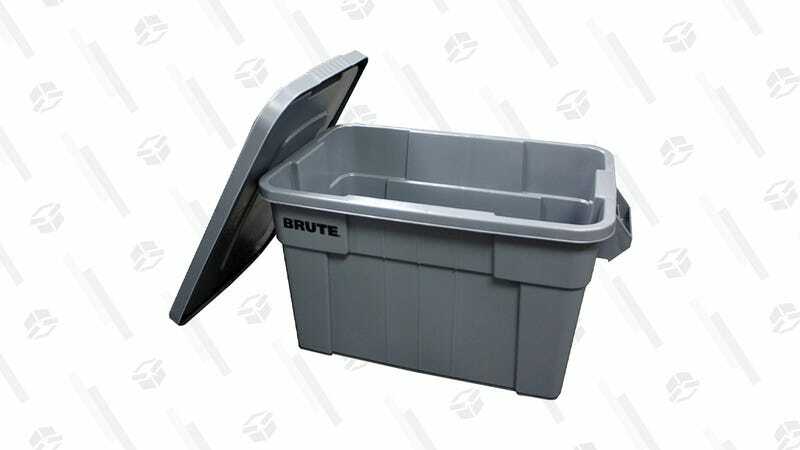 Marie Kondo can’t be mad about your junk if you hide it away in these discounted BRUTE Storage Container. For $23, you can hide away 20-gallons worth of joyless goods. Better still, it comes with handles so you can just pick it up and run, just in case Marie decides to look in your garage. May you all have a safe and pleasantly surprising Saturday night.